Conakry (Sosso: Kɔnakiri) is the capital and largest city of Guinea. 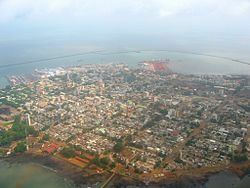 Conakry is a port city on the Atlantic Ocean and serves as the economic, financial and cultural centre of Guinea. Its population as of the 2014 Guinea census was 1,660,973 Originally situated on Tombo Island, one of the Îles de Los, it has since spread up the neighboring Kaloum Peninsula. The current population of Conakry is difficult to ascertain, although the U.S. Bureau of African Affairs has estimated it at 2 million. 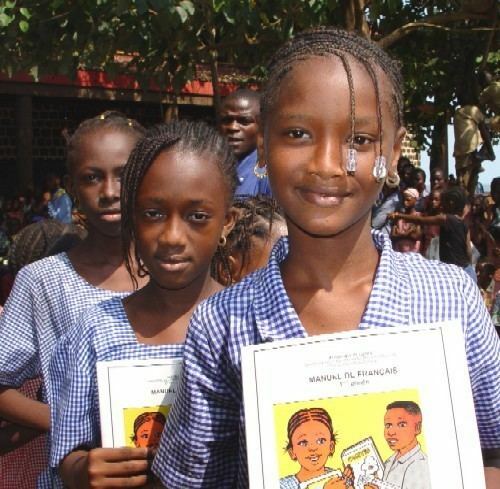 The population of Guinea is 12.61 million. 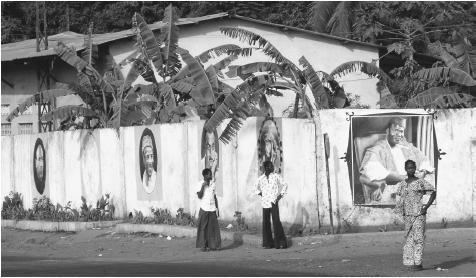 The five urban communes make up the Conakry Region, one of the eight Regions of Guinea, which is headed by a governor. At the second-tier prefecture level, the city is designated as the Conakry Special Zone, though the prefecture and regional government are one and the same. At an estimated two million inhabitants, it is far and away the largest city in Guinea, making up almost a quarter of the nation's population and making it more than four times bigger than its nearest rival, Kankan. Popular anger at shortages in Conakry was entwined with anti-government protests, strikes, and violence against the rule of President Lansana Conté and the successive prime ministers Cellou Dalein Diallo and Eugène Camara appointed to fill the post after the resignation of Prime Minister François Lonseny Fall in April 2004. Violence reached a peak in January–February 2007 in a general strike, which saw over one hundred deaths when the Army confronted protesters. According to Köppen climate classification, Conakry features a tropical monsoon climate (Köppen climate classification: Am). Conakry features a wet season and a dry season. Like a good portion of West Africa, Conakry's dry season is influenced by the harmattan wind between December and April. As a result, relatively little precipitation falls in the city during these months. Unlike much of West Africa, Conakry's wet season sees an extraordinary amount of precipitation, averaging more than 1,100 mm both in July and August. As a result, Conakry averages nearly 3,800 mm (149 in.) of precipitation per year.